Eagle’s Pointe in Bluffton, SC is located just a few minutes from the bridge to Hilton Head Island, schools, restaurants, and shopping. The heart of this planned residential community centers around the Davis Love III designed golf course and a large, 7.5 acre man-made lake. 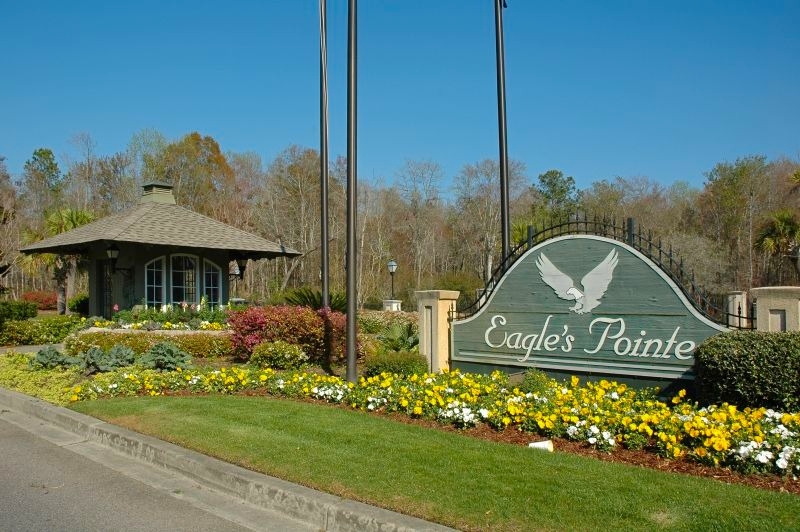 Eagle’s Pointe real estate features moderately priced homes and POA fees. Although the Golf Club and is open to the public, the clubhouse includes a private room for community residents. Additional facilities at Eagle’s Pointe include a junior Olympic pool, covered picnic areas, and an open-air cabana.